Do you like to draw? Do you like to drink? 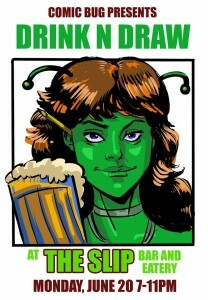 Then come join us at our monthly Drink n' Draw at The Slip Bar and Eatery presented by The Comic Bug! 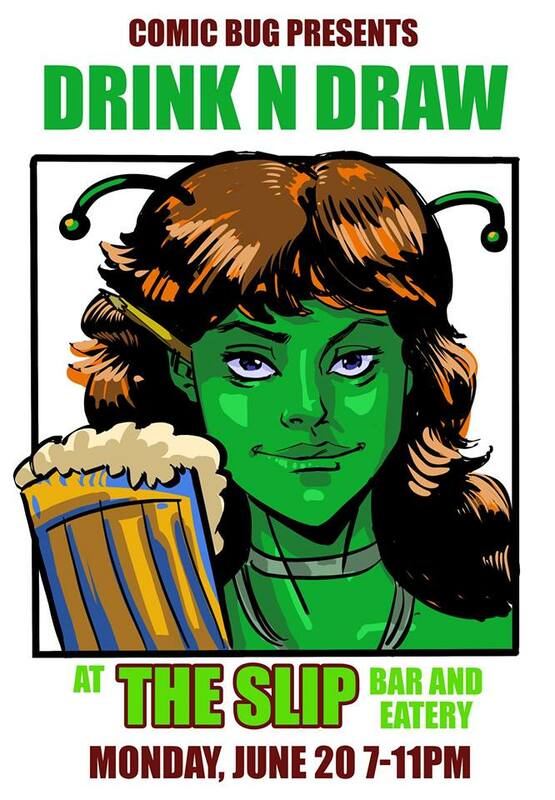 We'll have comic and sci-fi themed DRINK SPECIALS and you can work on your life-drawing and the company of dozens of awesome fellow artists and maybe even a writer or two!